For one day, we want to drown out negativity and celebrate the beauty and pride of women. These days it seems that some people want us to be ashamed of being women. They want us to believe that we’re less: less intelligent, less important, less human. There is so much negativity out there. For one day, we want to flood the internet with positive messages about women. 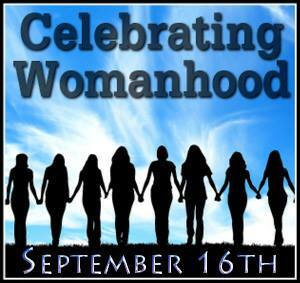 I’m excited about participating in “Celebrating Womanhood” for the second year. These days there is so much negativity about, well, everything so it’s wonderful to have this opportunity share a positive message about women. Last year I wrote about “Une femme d’un certain age”, or being an older woman (I prefer the French phrase, though.) and all the joys that brings. Yes, really! I considered several topics for this year’s blog event and ultimately settled upon “The Value of a Homemaker”. Might as well write about what I know, right? Let’s go ahead get something out of the way right off the bat. While my current status is that of a full-time homemaker, I’ve also worked out of the home, both part-time and full-time. Even while working I still considered “making a home” an important part of my daily life as I’m sure many women do, no matter which box they tick on a census form. I have nothing but respect for women who toil 8 hours a day at a paid job and then come home to cook dinner, wash a load of laundry, tidy up, etc. If they also have children the work load increases tremendously. I know. I’ve done it. So let’s put away any hint of the so-called “mommy wars”. All work has value, whether paid for or not. All women have value, no matter their work status. So let’s talk about homemaking. One thing I learned while doing a bit of research for this post is that “homemaking” is largely an American term for managing a home. I think this is one thing we Americans got right. “Homemaking” seems to encompass so much more than “housekeeping”, the more common term elsewhere. While housework or cleaning might be the first thing many think of when they hear the term “homemaker”, there’s so much more to it. I know many women who may not be the best housekeepers yet they put other skills to use in the home and are most definitely “homemakers”. Making a home is so much more than dusting and mopping and scrubbing toilets. Think about the homes you’ve been in where you felt most relaxed, welcomed and loved. They might not have been the most spotlessly clean. The food may not have been of gourmet quality. The decor may not have looked like a spread in Better Homes and Gardens. And yet there’s an element of home within. That’s what a dedicated homemaker can accomplish and it’s no small feat. It’s knowing how to manage one’s time to ensure that the basics are covered. If you spend your entire day scrubbing the baseboards but run out of time to prepare a meal, home isn’t going to be a very comfortable place that evening. If you decorate every room of the house for the current holiday season but everyone is out of clean underwear, an important element of homemaking is missing. Balance is the key and finding it requires a lot of trial and error. It’s a skill which I believe deserves honor. In a society which often determines a person’s value by how much money they earn, homemaking rarely gets more than occasional lip service. Home. The very word speaks warmth, comfort and peace. Home is more than where we keep our stuff. Home is where we keep our hearts. It’s where we break bread with family and friends. It’s where we rest and love and pursue our hobbies. Home is where we retreat when the world has been too much with us. A homemaker’s loftiest goal should be to make the home a sanctuary for those who live there. And in my opinion, the value of a homemaker who achieves this is inestimable.